web exclusive | Tom Rants. Here’s hoping everyone had a great 4th of July holiday! 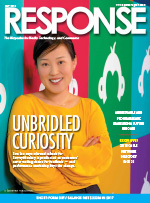 After returning from a week in Massachusetts, visiting my wife’s family and friends, I pushed through my inbox and some other pressing matter to give myself a few moments to put together a quick recap of Response‘s June issue. 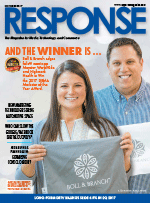 While we’re still getting back on track with timing following late April’s Response Expo, the issue has been online and hitting mailboxes for more than 2 weeks now. 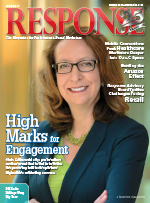 Led by a cover story on one of Blue Cross Blue Shield‘s largest affiliates, Highmark, the issue also includes features on the wider healthcare and pharmaceuticals market and a pair of loosely connected stories: a roundtable on the vast effects of Amazon on marketers and retailers of all stripes; and our second quarterly Advisors Forum of 2017, which tackles the rapidly changing retail space. Looking for background on how these items — and more — came together? You’ve come to the right place. A Support Services column from Ship-Right Solutions‘ Craig Lennon discussing the importance of order management systems to delivering the best customer experience. A Web Exclusive column from Response Advisory Board member Peter Koeppel of Koeppel Direct that discusses the many threats — and opportunities — presented by current TV marketing trends. Additional columns from Omni Direct’s Denira Borrero and Thane Direct’s Anthony Booth.